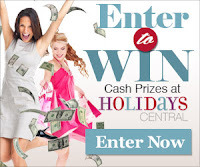 Check out this great giveaway! 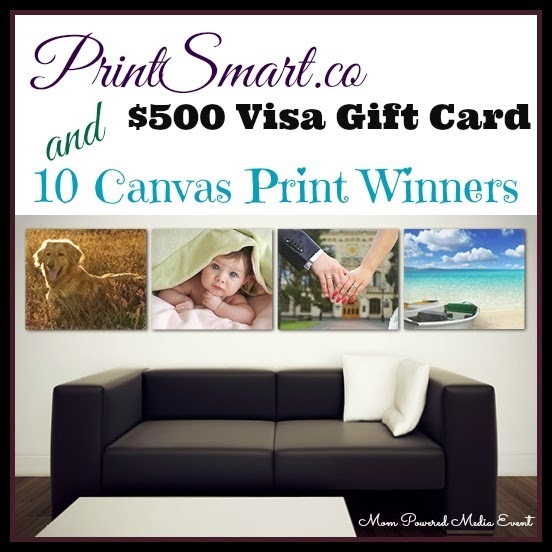 I'd love to have one of these large canvas prints - or better yet, the grand prize! I would love to see my brother's wedding photo done! I would love to put a photo of my two grandsons on top of Stone Mountain! I have some B&W ones I took in fog a few years back. A 1920s photograph of my grandparents at their sawmill in the Ozarks . Great photo. I have a cute picture of my grandson's I would like to see on canvas. I have a family portrait that I would love to put on canvass! I would love to use the photo we used for Christmas cards this year canvas'ed! I'd love to see the photo I have of my son winning his first blue ribbon on his pony. Of course, that was more than 25 years ago, but I still have the photo. I would like to see a picture of my mother on canvas. My daughter's wedding photo coming up in April! I would love a picture of my doggie, Hunter.